What happens when you want a lightweight, nimble British sports car, but still need to haul groceries and the kids? 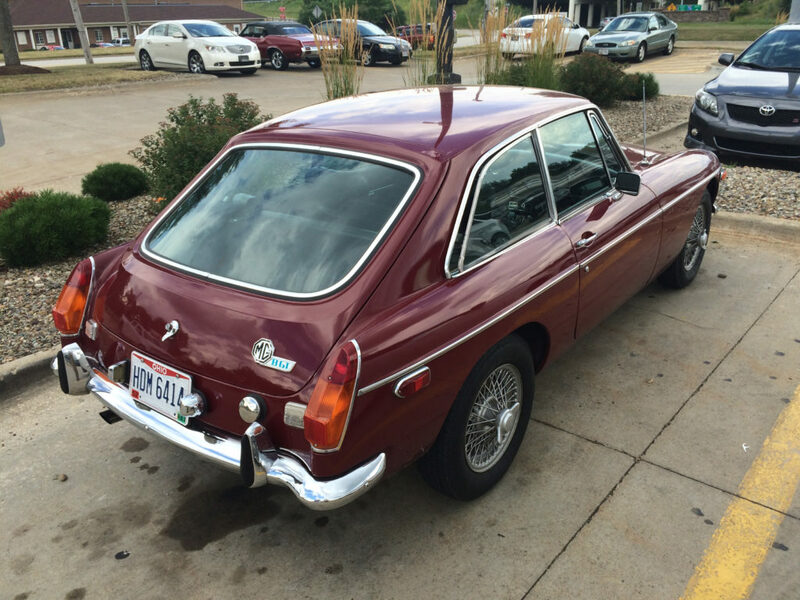 The answer, friend, is the MG MGB GT. But before we talk about the car, let’s decipher that alphabet soup. 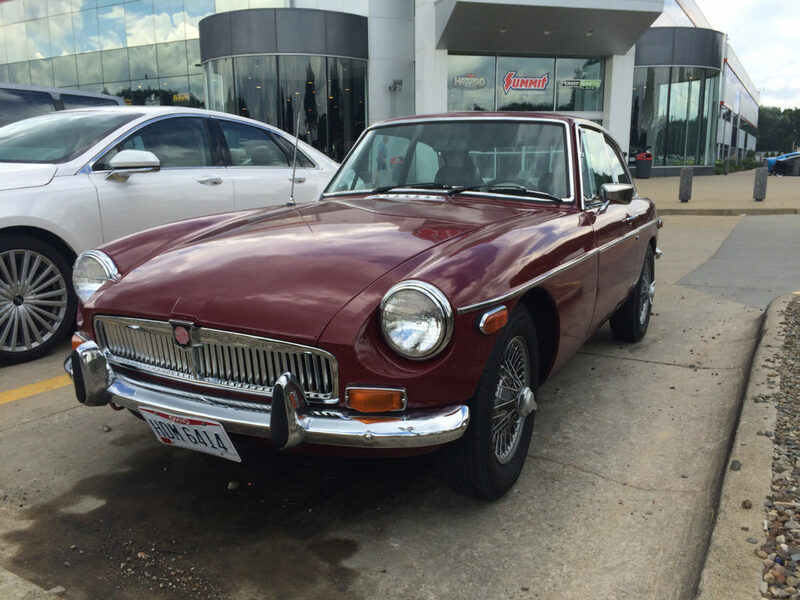 MG stands for Morris Garages, the car’s manufacturer—a company that used to manufacture cars in England. 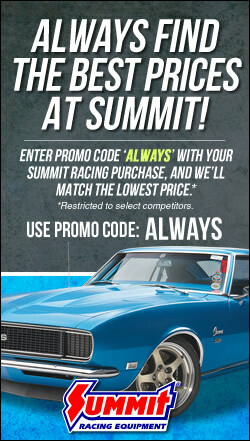 Back in its day, MG was well-known for its plucky little roadsters. 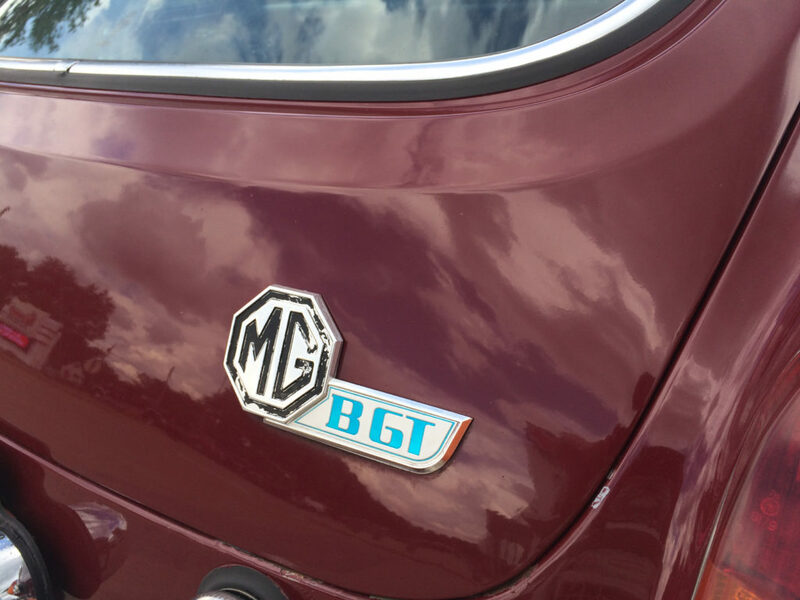 The MG automobile marque still exists, now owned by a Chinese company. It does manufacture cars, but these new models are far-removed from the original, UK-built MGs. 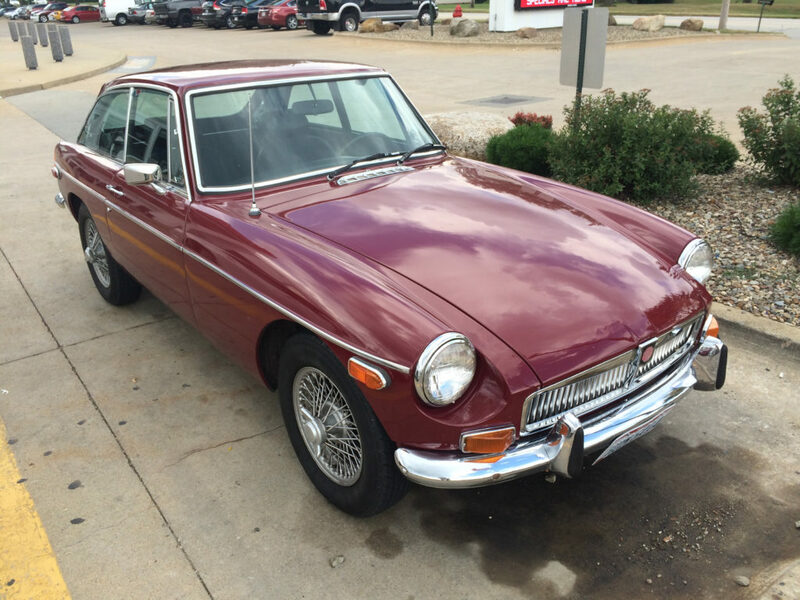 MGB is the vehicle’s model name. 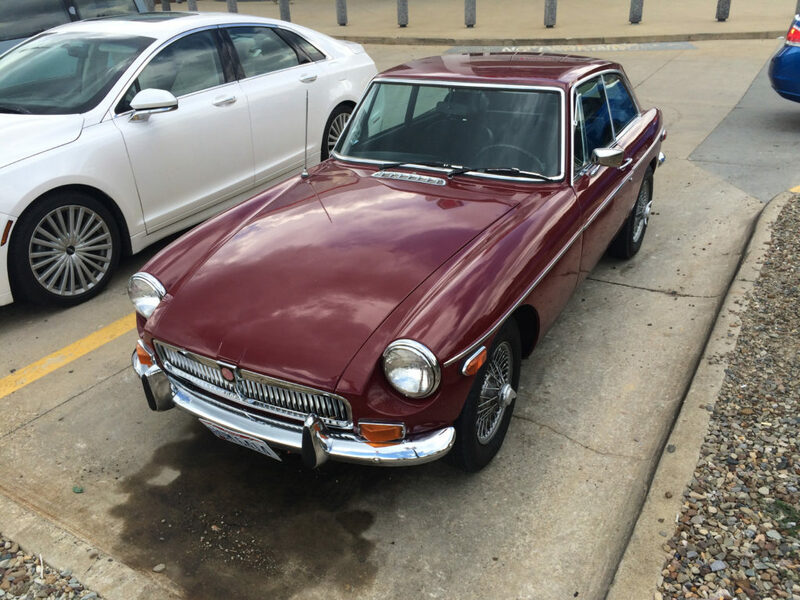 The MGB was manufactured from 1962-80 and replaced the (duh) MGA. 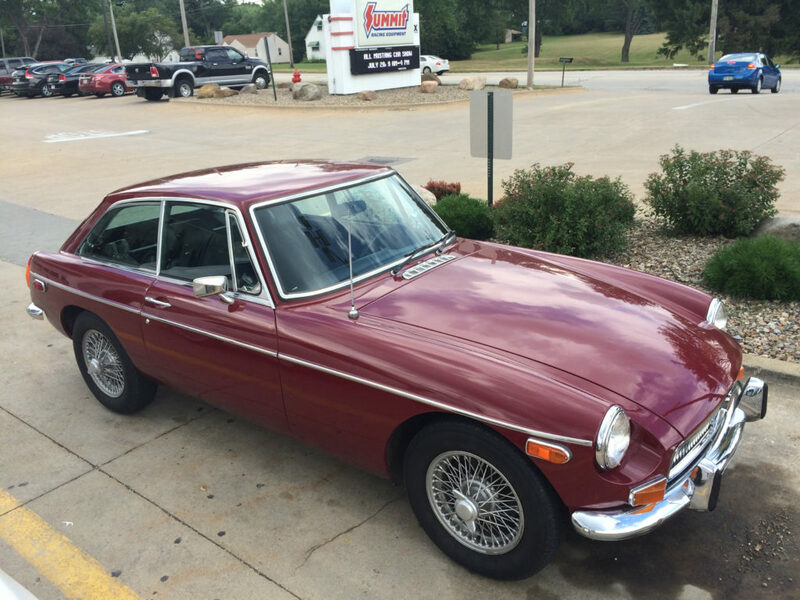 In its original form, the MGB was a two-seat, open-top roadster. The four-seat ‘GT’ hatchback variant showed up in 1965. GT models are considerably more rare than the standard MGB roadster, which is why we made this one a Lot Shots feature after spotting it in the Summit Racing retail store in Tallmadge, OH. The GT is underpinned by the familiar MGB chassis, but the body was radically restyled by legendary design studio Pininfarina—the shop responsible for dressing some of the most iconic cars in history, including the Ferrari Daytona, Alfa Romeo Spider, and Rolls Royce Silver Dawn. The new greenhouse added room for a back seat, plus offered a legit hatchback with ample luggage space. We tried desperately to pin an exact year on this one, but we couldn’t find the precise date that contained all of the styling clues (grille, emblems, bumpers, etc.) this specific GT has. Judging from the emblem, our guess is that this is a 1970s version, back-dated with earlier bumpers and grille. Are you an MG expert who can help us determine the year? Let us know what you think in the comments below. 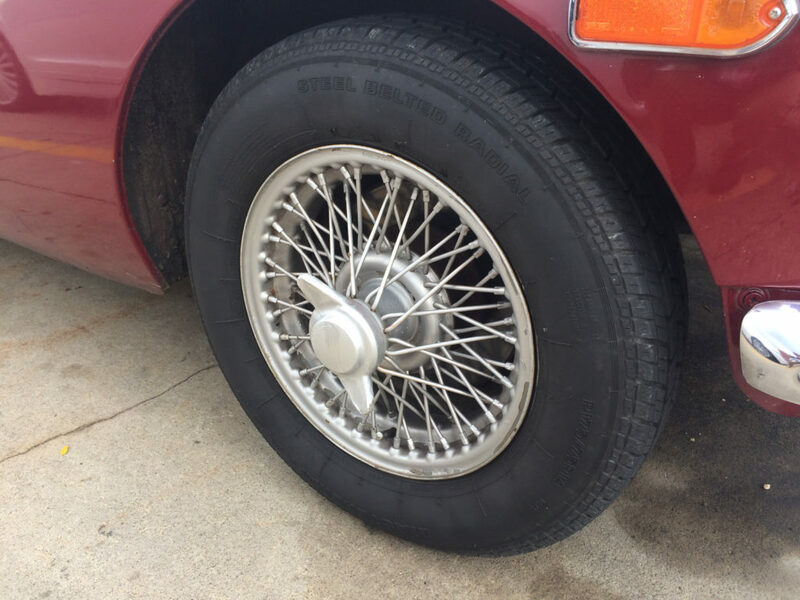 What we can say is that this MGB is wearing the ultra-cool knock-off wire wheels. We assume the special wheel ‘spanner’ (British word for wrench) and knock-off hammer can be found in the GT’s boot—which is what the Brits call a trunk. Speaking of fancy names the English have for things, under the MG’s ‘bonnet’ probably rests a version of the venerable BMC-series 1.8L four-cylinder, good for close to 100 horsepower. There was a short-lived V8 version which used the Rover 3.5L—yes GM fans, the same engine that began as the all-aluminum Buick 215 V8. 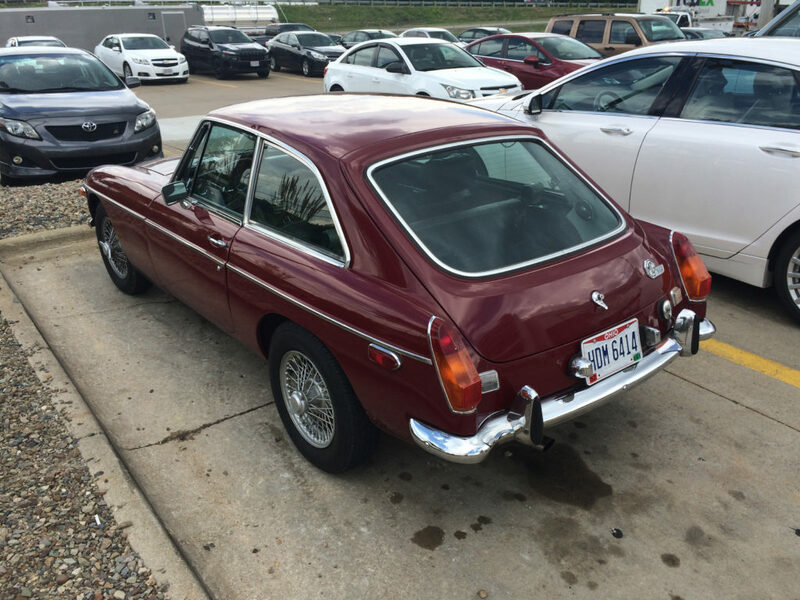 While not known for its tire-shredding horsepower, gearheads praised the MGB’s responsive chassis and good handling. The MGB GT is about as close to a ‘practical’ vintage British sports car as you can get, unfortunately GT imports to the United States ceased in 1974, while the MGB convertible soldiered on until production ceased entirely in 1980.